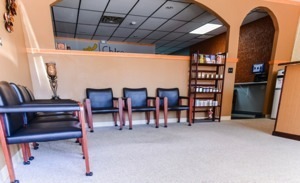 Chiro First Wellness Center opened in 2011 to be a wellness center for West Seneca and Buffalo, Orchard Park, Cheektowaga. Our root values are about teaching people how to take care of themselves and their families. From helping infants to the elderly, we’re ready to talk about reaching your optimal well-being. Our office is a happy, healthy place that feels uplifting and comfortable. We offer each individual the kind of experience you’d get at a five-star hotel. Our team has the amazing ability to anticipate your every need and solve your problems. We’re loyal to our patients and strive to create a great environment for you to heal in. Our mission is to treat each person with the spirit of total caring, providing quality service to each patient as a unique individual with specific health care needs and wants. Our number one overriding purpose is to serve our patients with the absolute best care possible. We act as teachers, healers and lifestyle coaches so that each person may live to their optimal potential. We lead by example and pride ourselves on the value of care. We strive to teach our patients the health benefits of chiropractic and healthy living, so that they too can make healthy choices and may experience the true “living” and “health” that comes from having a healthy spine and nervous system. We are here to help our patients and their families for the rest of their lives. We will listen, have empathy and truly understand our patients. We focus on problem solving and solutions. We lead by asking questions and know that our engagement with patients will dictate the success of our practice. Chiropractic provides life for the spine and the body as a whole, helping us all to realize our true health potential. Our nervous system is supreme and serves as the main control center of our body, regulating the function of all organs, movement, healing, bodily function and activity. Without good spinal health and posture, we grow old before our time. We make every effort to do whatever is necessary so that everyone we come in contact with has the opportunity to learn about chiropractic and have their spines checked. We have total faith, confidence and belief in our product, services and ideas. Each and every day we give of ourselves unselfishly, extending our hands to help others. Opportunities to serve come continually and unexpectedly. We prepare ourselves mentally and physically to attract everything that is necessary for our practices’ success. With faith and belief in a splendid future, we devote ourselves to the fulfillment of our highest purpose. We will use this opportunity to do our part to better the health of humanity. Let us have the privilege of helping you create a better future for your family. Contact Chiro First Wellness Center today to schedule your time.